The company’s Managing Director, Nick Boyle, recently completed a course with MHFA England, to further support a cause which he is personally very passionate about. According to MHFA England, mental ill health costs UK employers £34.9 billion per year in reduced productivity (£21.2 bn), sickness and absence (£10.6 bn), and turnover of staff (£3.1 bn). “The team here at CUE are the most important asset we have; without them, there is no business,” continued Mr Boyle. “Since I joined, I have been working to make CUE a more enjoyable and rewarding place to work, and becoming a Mental Health First Aider is the next step on that journey. I want the staff here to feel like they can come to me with any challenge they face – big or small – and know that they will be listened to and helped. Cue Marketing also aim to encourage other workplaces in Manchester to take a stand and make mental health a priority. Mr Boyle comments: “Manchester is a wonderful place for businesses to grow and flourish. However, we want other businesses to ensure that their employees aren’t feeling lost or alone are supported by the companies that they work so hard for. By encouraging businesses to support their employees’ mental health, we hope to support Manchester in becoming the best city to work within in the UK”. 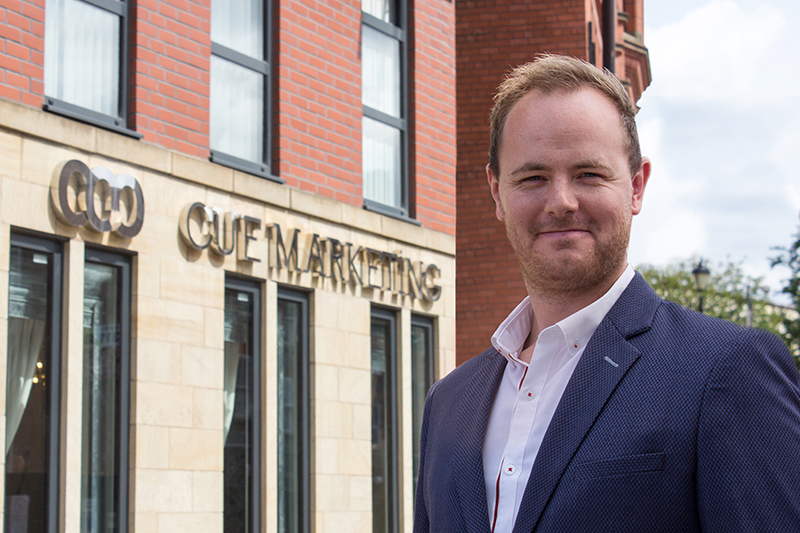 To find out more about Cue Marketing, please visit www.CueMarketing.co.uk.